A less icy Arctic will be an economic boon for some, but marine wildlife experts are focused on the increased risks more ships will pose to certain polar species. Walrus coming to the surface for air. 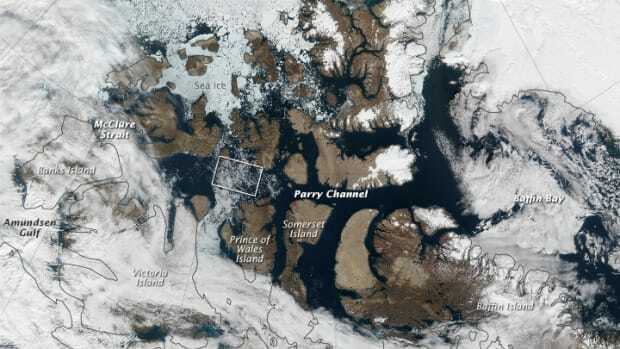 The famed Northwest Passage, a northern ship route once impenetrable for most vessels, is opening up to traffic as the Arctic warms. As summer sea ice melts, the entire Arctic region is expected to become significantly more navigable by 2050. A less icy Arctic will be an economic boon to haulers, tankers, fishers, and tourism companies, but marine wildlife experts are focused on the increased risks more ships will pose to polar species like walruses and narwhals. In a new study published on Monday in the Proceedings of the National Academy of Sciences, scientists have, for the first time, ranked which Arctic marine mammals are most vulnerable to threats associated with increased ship traffic, such as collisions and noise pollution. The authors found that 42 out of 80 subpopulations of seven species that live in the Arctic are at risk from regular September shipping through the Northwest Passage and the Northern Sea Route near Russia. They called for preventative measures to be put in place early on. "We have the opportunity to apply lessons learned about vessel interactions elsewhere into the Arctic, which is a relatively novel, data-poor, rapidly changing, and fragile marine ecosystem where vessel traffic is poised to expand," said Donna Hauser, a marine biologist at the University of Alaska–Fairbanks. Hauser and her two co-authors, all at the University of Washington&apos;s Polar Science Center when they conducted the study, mapped the September ranges of bearded seals, beluga whales, bowhead whales, narwhals, ringed seals, polar bears, and walruses. They compared that information to data available for ship transits through the Northwest Passage, which connects the northwest Atlantic Ocean to the northeastern Pacific Ocean, and the Northern Sea route, which connects the Kara Sea to the Bering Strait. They found plenty of overlap with "geographic bottlenecks" in the Bering Strait and eastern Canadian Arctic, according to the study. The scientists also analyzed marine mammals&apos; specific sensitivities to ships to get a sense of which animals would be most vulnerable. The most susceptible species—narwhals—tended to have behavioral traits that put them in harm&apos;s way. The whales tended to return to the same, specific regions every summer, which happen to be distributed throughout portions of the Northwest Passage, Hauser said. 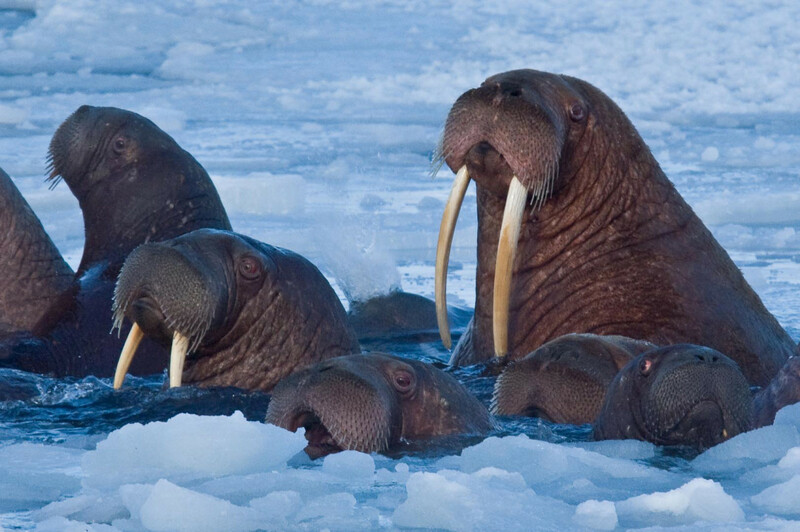 Other particularly vulnerable populations included walruses and bowhead and beluga whales. On the other hand, polar bears, said Hauser, spend most of their time in September on land, so their populations were generally the least at risk from shipping—at least during this late summer month. Unlike many other marine mammals, polar bears also don&apos;t rely on underwater sound to feed or communicate. So while the species is in extreme danger from sea ice decline due to climate change, shipping may not top the list of problems they face. 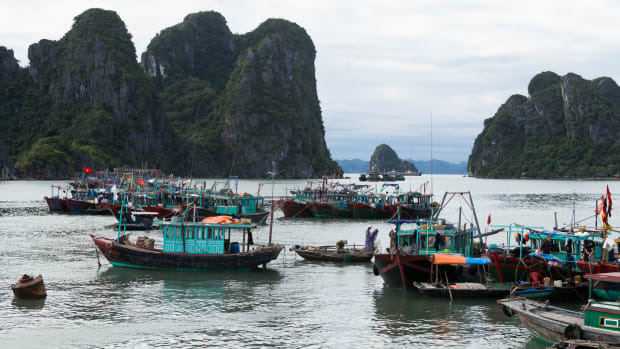 The team hopes their ranking and future data-gathering efforts can guide maritime policies and conservation research. For example, the International Maritime Organization&apos;s Maritime Safety Committee recently approved the first voluntary ship routing safety measures through the Bering Strait, which is 53 miles wide at its choke point and also a major migratory pathway for marine wildlife. 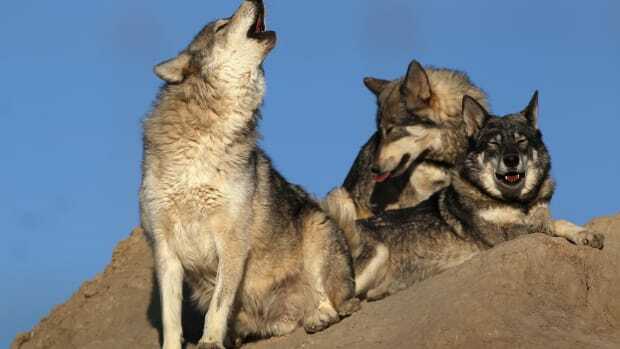 Conservationists applauded that the approval also included three sensitive areas to be avoided. 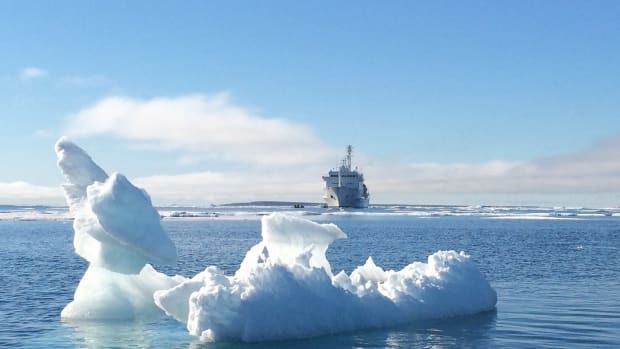 "The best way is to remove vessels, but that&apos;s not a feasible option," said University of Victoria researcher Lauren McWhinnie, who published a recent paper exploring how to minimize risks from ships to Arctic wildlife. "We explored different management tools such as slowdowns and avoidance areas, and considered if they were feasible for application in an extreme environment such as the Arctic." Avoidance areas, she noted, may not always be possible in places where sea ice or land constraints create bottlenecks. Truly effective management needs to include a variety of different methods for minimizing risks and take into account the needs of tourism, fishing, and shipping as well as local communities, McWhinnie said. 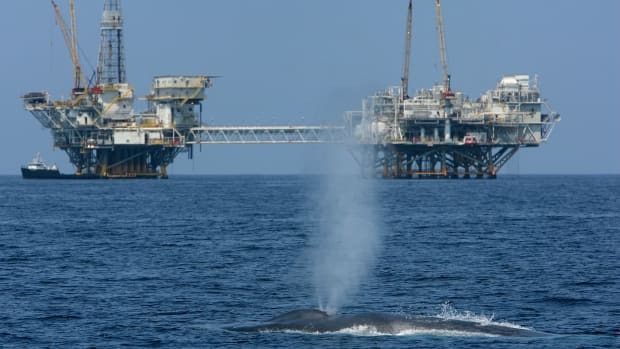 "Seasonal closures of areas to ship traffic could be helpful, and slowing ships down is a major benefit to migratory marine mammals," Reeves said. "The slower the ships go the less chance of hitting an animal and the less severe the injury." Ship noise, caused by loud engines, propellers, and other equipment, is known to disorient and sometimes disable marine mammals. The IMO, which began discussing the issue in the early 2000s, has established voluntary guidelines for equipping ships with new, quieter parts, as well as best practices to reduce noise. Currently, the IMO is also considering a ban on heavy fuel oil in Arctic shipping, which would help avoid some of the most devastating marine pollution that could affect regional wildlife. Without regulation, marine mammal experts agree it doesn&apos;t seem likely ships and Arctic animals can easily co-exist. One thing is certain: As human transportation access to the Arctic expands, marine mammals and ships will be pushed into increasingly close contact with one another. "Limited space is a big issue in the Arctic," Reeves said. "Even with melting ice, there is limited space for ships and marine mammals to pass through narrow straits and inter-island channels. 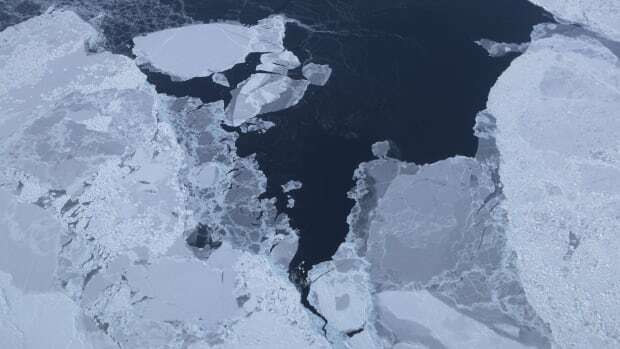 Even as the ice recedes, leaving more open water for more of the year, there may not be enough room for large ships to operate safely in areas occupied by marine mammals at the same time." This article originally appeared on Oceans Deeply, and you can find the original here. For important news about our world’s oceans, you can sign up to the Oceans Deeply email list. This month, the Arctic will likely have some of the lowest levels of ice on record. Scientists, government officials, and industry representatives from around the world are working to improve sea ice forecasting in the Arctic. How Do We Stop Ships From Fatally Striking Migrating Whales? Fatal collisions between ships and blue whales are far too common. Luckily, there are scientists creating new technology to fix that. Even smaller fishing boats are venturing deeper into the Arctic, an analysis finds. A new study looks at how the increased storminess of a warming planet will make an already dangerous job even more deadly.